The Ashkenazi community of Panama City was founded in the 1940s by a few migrant families who arrived before World War II. During the first years they would meet in member's homes, until they decided to buy a building of their own in 1946 to use as Jewish social club. Around the year 1960, the community bought land in the residential Obarrio neighborhood, where the synagogue is active to this day, as second location, having gone through changes in 1990. The Ashkenazi community has grown considerably, and since 2012 has the new building located in Paitilla as they Community center. The community is currently made up of a mixture of Panamanian Jews and many migrants who arrived in recent years, mainly from Colombia, Argentina, Uruguay and Peru. During recent years, there have also been additions from the United States, Canada and Venezuela. The result is an active and vibrant community consisting of 225 families, including many young children. 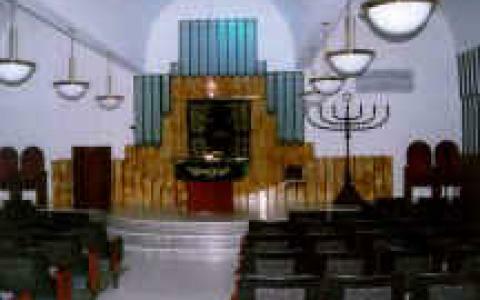 Beth El is an orthodox synagogue. However, its members are Jews of all levels of observance.